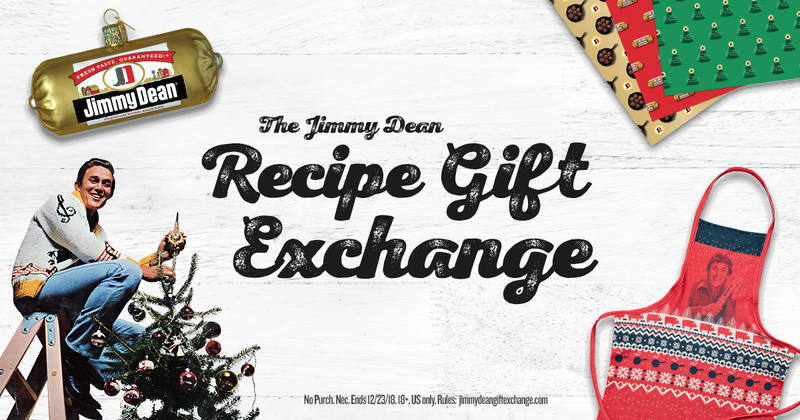 make a dish using Jimmy Dean sausage, upload your photo, then choose a free gift. NO PURCH. NEC. Ends 12/23/18. 18+ Official Rules: Jimmydeangiftexchange.com. Void where prohibited.